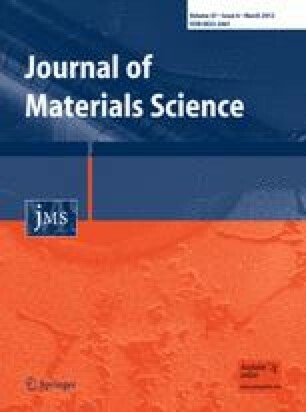 Since the trabecular bone exhibit sponge-like bicontinuity there is a growing interest in the synthesis of spongy-like sieves for the construction of bio-active implantable materials. Here, we propose a one step sol–gel method for the synthesis of bicontinuous pore silica materials using different bile salts aqueous mixtures as templates. The influences of the type and amount of bile salt on the synthesis processes are investigated and correlated with the final material morphology. As a final point, their structural properties are interrelated with their ability to induce a bone-like apatite layer in contact with simulated body fluid (SBF). We have confirmed that under specific template conditions, the synthesized material has an open bio-active macropore structure that is blanched in a 3D-disordered sponge-like network similar than those existed in trabecular bone. The online version of this article (doi: 10.1007/s10853-011-6113-4) contains supplementary material, which is available to authorized users. The authors acknowledge Universidad Nacional del Sur (PGI 24/ZQ07), Concejo Nacional de Investigaciones Científicas y Técnicas de la República Argentina (CONICET, PIP-11220100100072), Xunta de Galicia (Project No. PXI20615PN). MFL and VV have fellowships of CONICET. PM is an adjunct researcher of CONICET.